The all-new 2018 Engen Polo Cup season started on a high note at Kyalami on Saturday, with the turbocharged two-litre Polo race cars delivering exceptional reliability, close racing, a new lap record and great spectacle. Saturday morning’s official qualifying session saw the times of the top six cars covered by one second, led by youngster Jeffrey Kruger in his Universal Healthcare Polo. After the Superpole session Kruger occupied the pole position, ahead of Jonathan Mogotsi (VW Motorsport Polo), Juan Gerber (Gerber Motorsport Polo), Tasmin Pepper (Electric Life Polo), Keegan Campos (Turn 1 Polo) and Shaun La Reservee (Alpine Motors Polo). Kruger ticked all of the boxes in the opening race. 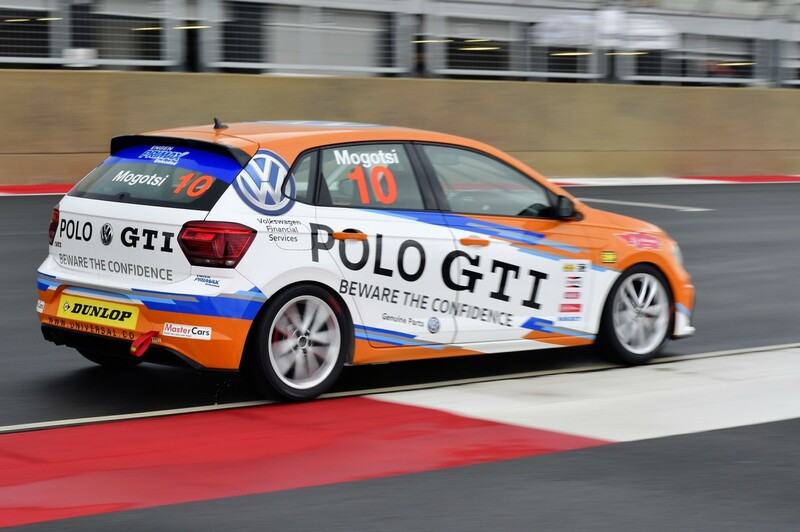 He led from start to finish and set a new Kyalami Engen Polo Cup lap record at 2 min. 7,925 seconds. Chasing him over the finish line after a huge dice were Mogotsi, Gerber, Pepper, Campos and La Reservee. Charl Wilken (Cronje’s Auto Body Polo), Benjamin Habig (Just Tools Polo), Delon Thompson (A&L Materials Polo) and Clinton Bezuidenhout (GLYCO Polo) rounded out the top ten places. 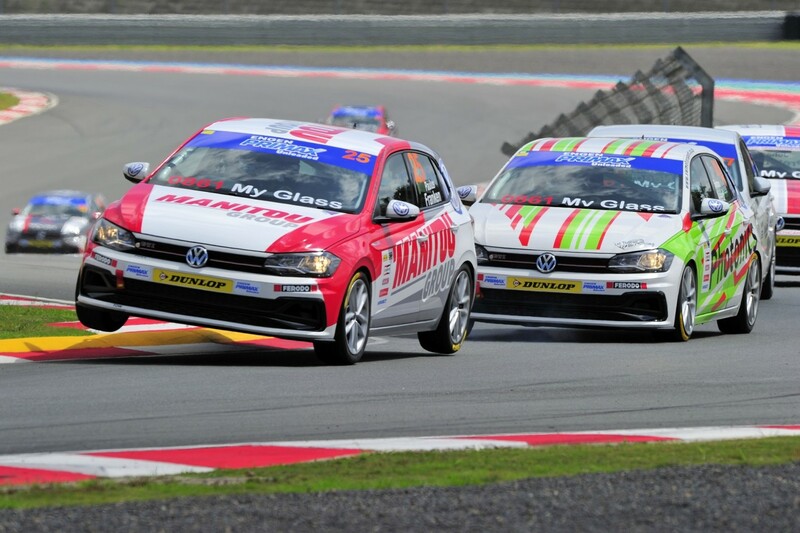 The race ran behind a Pace Car for four laps after Raais Asmal (VW Motorsport Polo) and Simon Need (Photonics Polo) touched and hit a tyre wall in unison. Race two saw Gerber and Mogotsi dice furiously for the lead until they touched and went off together, leading to Gerber’s retirement. That left Kruger to lead Pepper to the finish, followed by Campos, La Reservee, a recovered Mogotsi and Bezuidenhout. This time, the next four places belonged to Wilken, Thompson, Daniel Duminy (SMD Group Polo) and Darren Oates (PAYEN Polo). Jeffrey Kruger took the day’s overall victory, with Tasmin Pepper the Masters category winner in second place. Keegan Campos, Jonathan Mogotsi, Shaun La Reservee and Charl Wilken rounded out the top six. The next round of the 2018 Engen Polo Cup championship will be held at the Western Cape Killarney circuit on Saturday, April 21.